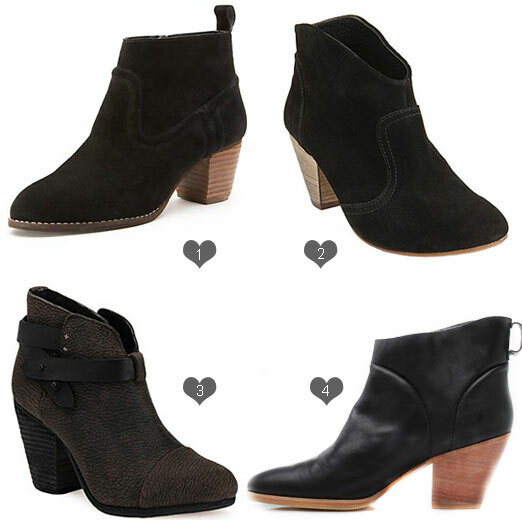 i have been on the hunt for the perfect black booties for fall and here are a few that i am loving. *the rag and bone are my favorites- the detail on the straps and the texture of the leather- yum! Go for the Rag & Bones! I love those!!! Will look perfect with skinny jeans for fall. I'm really loving your blog by the way, you are making me miss Palm Springs like crazy, my family has a house there. I really love your style, your quirk and all of the gorgeous colors! Keep up the great work!